MINI is an iconic British brand and now owned by German automotive giant, BMW. But, have you ever imagine what would happen if the car was modified done by the Italians? 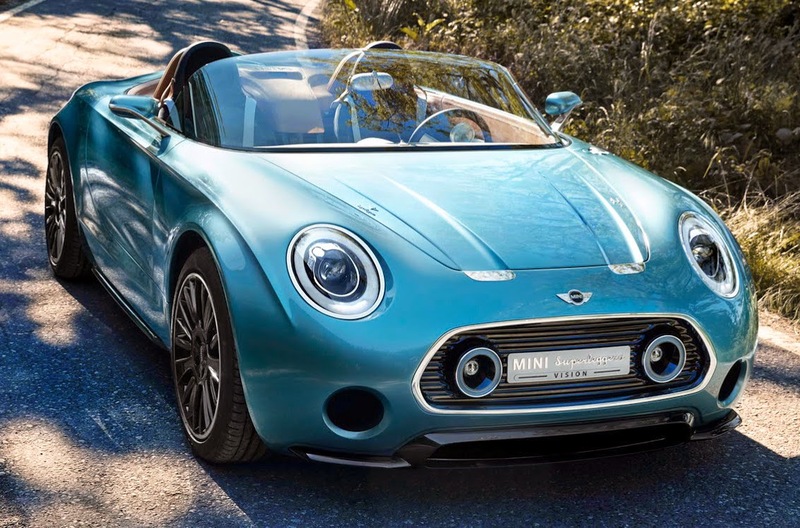 MINI has just launched its latest concept car called MINI Superleggera Vision in an automotive exhibition Concorso d'Eleganza Villa d'Este which held in Cernobbio, Italy. It is a concept sports car built by the legendary Italian automotive tuner company, Touring Superleggera. 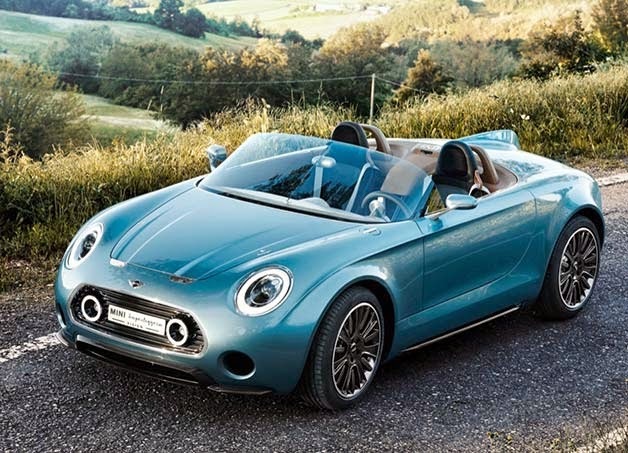 By combining the concept coupé and roadster, MINI Superleggera Vision comes with classic and beautiful retro design. 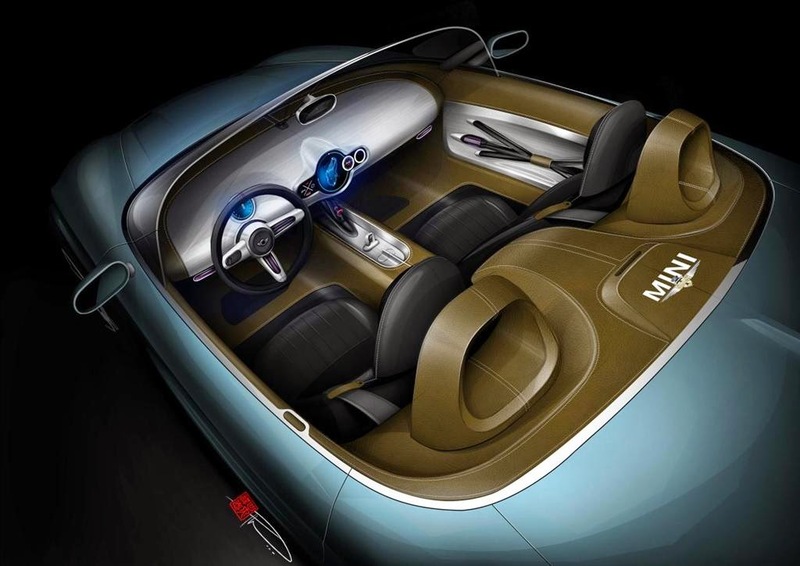 Hallmark of MINI remains brought by this concept car with two round headlights and a hexagonal grille. Long bonnet and wheelbase, short overhangs and provide a signal that this car will provide pure driving pleasure. The theme behind this concept car look is minimalist, with exterior and interior to reduce the most basic components, then rebuilt with exotic style. 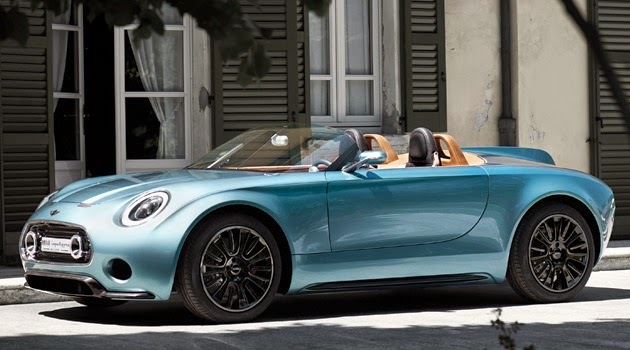 MINI Superleggera Vision cabin wrapped in an exclusive leather, aluminum and black chrome, with which exposed MINI styling icon on the dashboard and control panel. 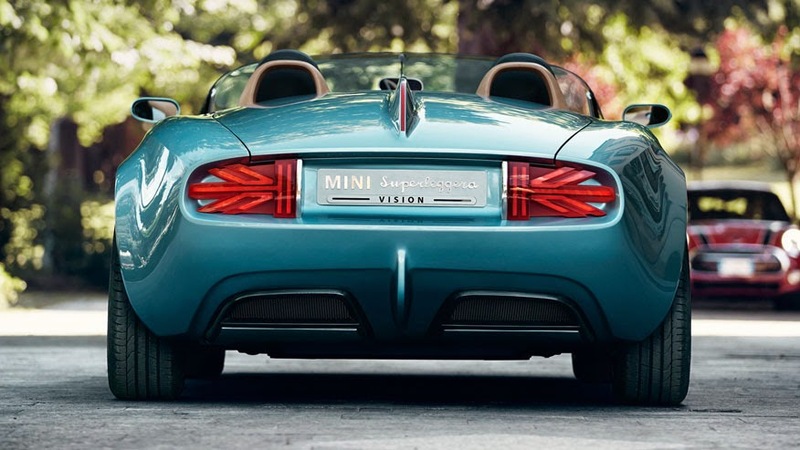 Workmanship of MINI Superleggera Vision body design is done in classic Italian style, built handbuilt and formed to please the eye, with aerodynamic side charming. However, the 'British' feel on electric-powered concept car is still visible from the look of the taillights are designed similar to the Union Jack flag which was split in two.